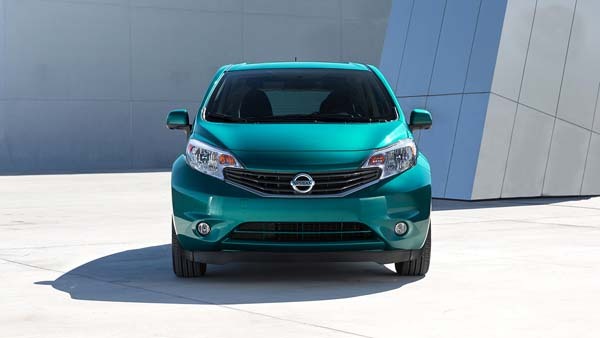 Sorg Nissan Introduces the 2016 Nissan Versa Note! 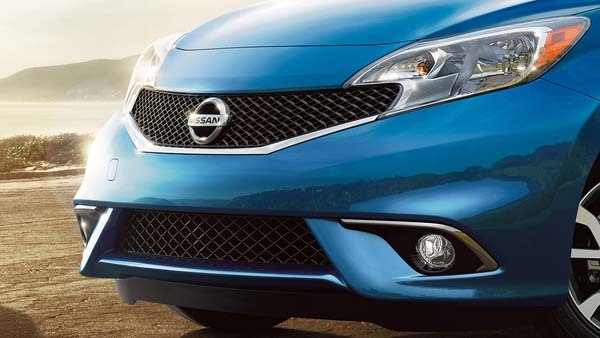 Calling all drivers: the 2016 Nissan Versa Note is one of this summer’s most talked about cars, giving drivers some of the very best specs in the key areas of performance, interior design, and safety. First of all, the Nissan Versa Note boasts a wide range of performance-boosting devices and systems, from a massively powerful engine that promises excellent rates of horsepower and awesome fuel efficiency to an impressively clean design, as well as systems like Electronic Brake Force Distribution and Brake Force for increased control. At the same time, this new car ensures drivers a smooth and comfortable ride with superb suspension and power steering, too. 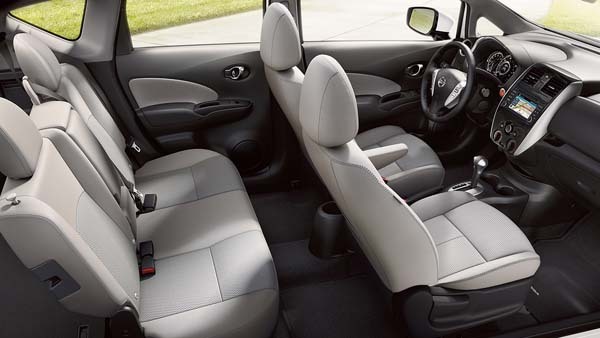 And then there’s the Nissan Versa Note’s stunning interior design, which features everything from a Color Studio to give you more choice over its look, to Divide-N-Hide Adjustable Floor for added versatility. Likewise, with Nissan Connect and SiriusXM Travel Link and Traffic, you’ll get augmented connectivity throughout the drive, and its Four-Speaker Audio System will keep the music blasting, while with USB Connection Ports you can keep your devices fully charged. Finally, the Nissan Versa Note is embedded with a range of safety devices to keep you and your passengers as safe as possible on the open road. Let’s look at each of these features and more in greater detail. 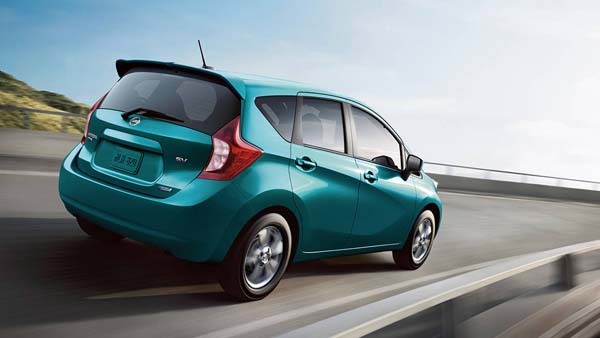 First thing is first: what everybody is wondering is what sort of power the Nisan Versa Note offers. And here’s the answer: a lot of it. The new Nissan comes equipped with a single titanic engine designed to crank out massive amounts of horsepower, even while this car can realize top rates of fuel efficiency. But that’s really just the beginning. In addition to its engine power, the Versa Note is notably clean, and it also boasts a smooth drive, with top-notch suspension and transmission systems. No matter the trim level you choose, you’re going to get a colossus of an engine: a 1.6L DOHC 16-Valve behemoth that churns out as much as 109 hp while also guaranteeing 107 lb-ft of torque. 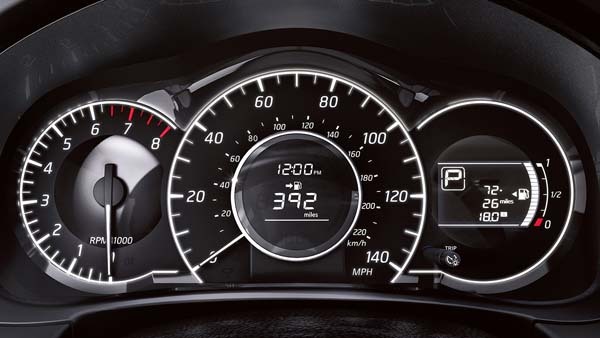 That’s enough power to ensure a reliable drive as you make your way up to the Lake or downstate, but it also promises to let you count on the Nissan Versa Note for some added excitement when you want to rev the engine up and get a bit more oomph out of your drive. Along with its powerful engine, though, the Nissan Versa Note also promises an impressively clean ride, featuring emissions ratings of Tier 2-Bin 5 (EPA) and LEV2-ULEV (CARB). What this means is that this vehicle ensures you a remarkably greener drive than most older models, allowing you to know that you’re doing the best you can for the environment. 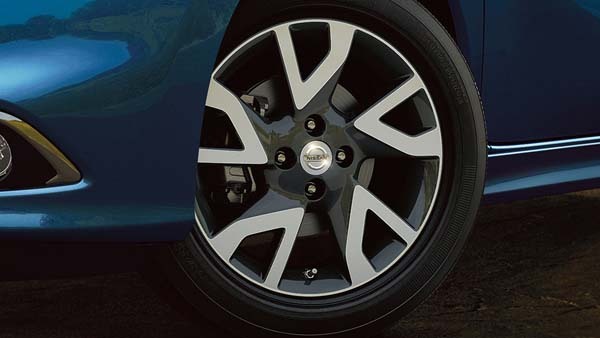 The Nissan Versa Note’s Electronic Brake Force Distribution and Brake Force systems are specially tuned to ensure that you get the most of of your brakes. For example, its Electronic Brake Force Distribution system automatically varies the braking force applied to each of the Versa Note’s brakes depending on its determination of road conditions, your own speed, and other relevant factors, thereby better ensuring a responsive braking system. The Versa Note’s Xtronic CVT transmission is designed to provide you with one of the industry’s best transmission systems, which will give you increased control as well as a memorably smooth drive. 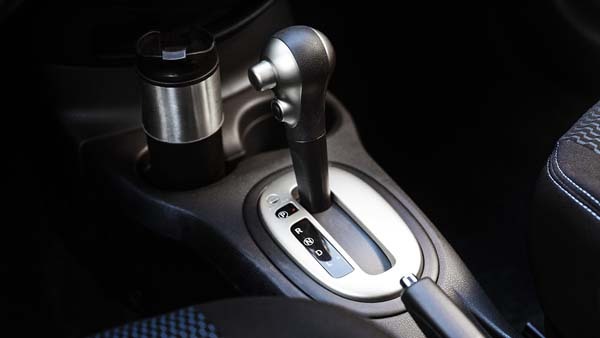 With an automatic transmission system that is capable of cycling through a range of effective gears depending on your conditions and driving situation, CVT transmission optimizes your drive through its flexibility and sensitivity. Likewise, the Nissan Versa Note also comes equipped with an Independent Strut Front Suspension system with a Stabilizer Bar. Recognized as one of most capable suspension systems available on the market, this system works in conjunction to ensure that your Nissan Versa Note negotiates bumps, jostles, and shakes easily and smoothly, improving your safety and comfort even more. 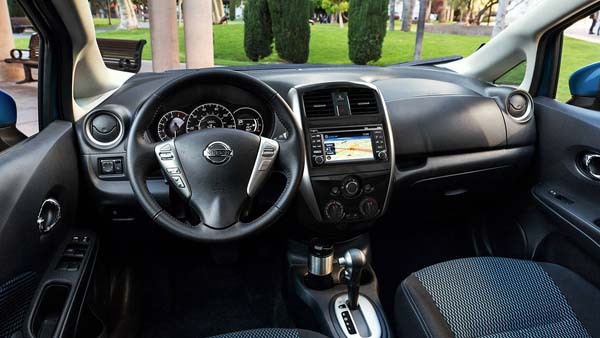 Finally, the Nissan Versa Note makes steering a breeze with its vehicle-speed-sensitive electric power steering system, which augments the effort you put into turning the wheel in order to make the process of driving easier than ever. Using hydraulic or electric mechanisms, the Versa Note’s power steering system allows you to turn the wheel with no trouble at all, increasing your control over the vehicle exponentially. But that’s just the beginning. 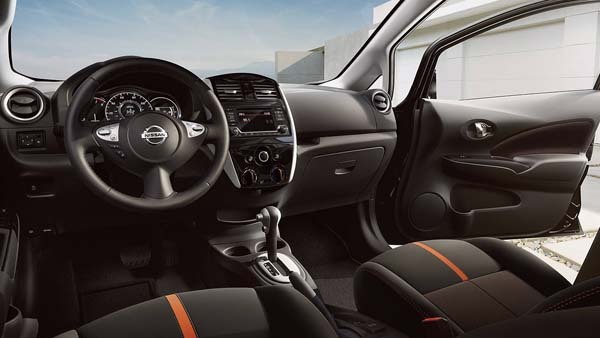 For in addition to all these performance features, the Nissan Versa Note is decked out with a wealth of interior features meant to amp up your comfort, control, and overall driving experience. Not only will you be able to enjoy wide interior versatility in the Versa Note, but this car also boasts a range of entertainment, information, and connectivity features to maximize your engagement throughout the drive. Color Studio is an exterior and interior design feature, and it deserves note here because it’s one of the most distinctive additions to the new Nissan Versa Note. Basically, Color Studio allows you unprecedented control over the Versa Note’s color design, not only enabling you to choose from a range of solid colors for the vehicle’s body and interior upholstery, but also making it possible for you to mix and match colors. For example, you can choose a solid black body but make the spoiler red and the door handles white. With its Divide-N-Hide Adjustable Floor, the Versa Note broadens even more range of options you have when using the car’s already ample space. 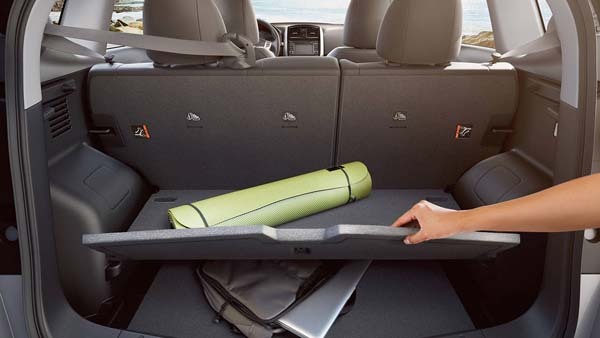 For example, the Versa Note can fit as many as four of your friends comfortably, while also giving you 18.8 cubic feet of cargo space. But if you want to maximize the amount of room you have for luggage and other cargo, just drop the seats down for extra bags, or use Divide-N-Hide to construct a loading platform and augment your space even more. But in addition to your control over the exterior and interior color of your Versa Note and the way you apportion its space, you’ll also have access to an especially solid connectivity system that is designed to keep you and everybody else plugged in throughout the drive. With Nissan Connect, you’ll be able to hook your smartphone right up to your car and gain access to all your own music, maps, apps, and much more. 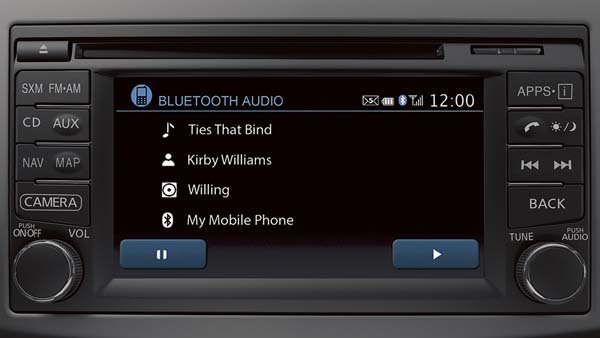 And that’s just the start of the smart systems embedded in the Versa Note. 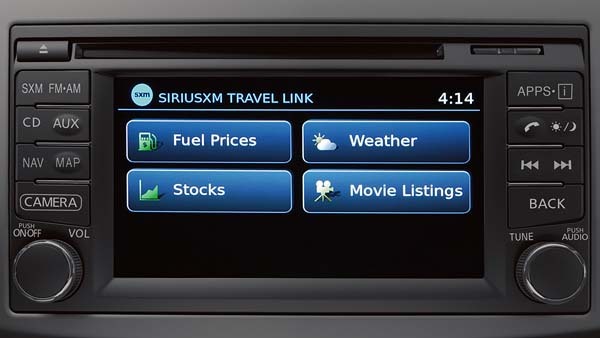 Along with Nissan Connect, the Versa Note gives you SiriusXM Travel Link and Traffic, which make it possible for you to retrieve the very latest in travel-related information, allowing you to find out where there are traffic jams, generate route maps to your destination, identify your location if you’re lost, and even find the nearest gas station. Likewise, the Versa Note gives you a range of options when it comes to keeping entertained on the drive. For example, this car comes with a well-designed audio system that provides four speakers for top-notch audio and crisp, clear sound. Turn your Versa Note into a moving concert hall by plugging your phone into the speaker system and blasting your favorite tracks while you drive. 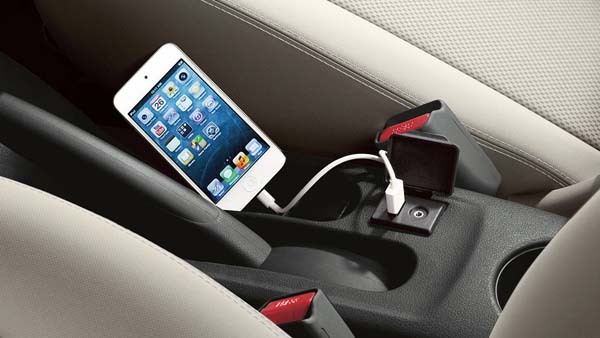 Finally, you’ll never have to worry about losing charge on your devices in the Versa Note. With a set of USB Connection Ports, you can just plug your phone into the car when the battery is low, allowing you to replenish its power and ensure that you can keep listening to that awesome new album, or sharing your all-time favorite podcast with your passengers. 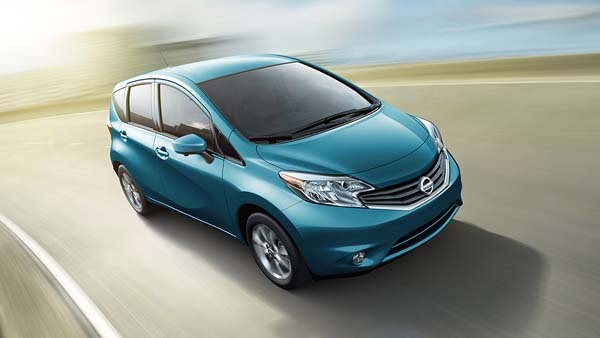 Last but not least, there’s the Nissan Versa Note’s impressive safety capabilities. Sure, this car provides you with most of the standard array of systems to keep you and your passengers safe and sound on the open road, but in addition to these it adds on some extra perks, including a Tire Pressure Monitor system and an Around View Monitor for increased understanding of your surroundings. Likewise, the Versa Note also features changes to its exterior design meant to strengthen this car’s performance in the unlikely event of a collision. First thing is first: the Versa Note boasts a wide range of powerful airbags to keep you and everybody else on board as secure as possible if you find yourself in an accident. For example, you’ll get dual-stage supplemental front air bags with seat-belts and occupant-classification sensors, as well as driver and front-passenger seat-mounted side-impact supplemental airbags and roof-mounted curtain side-impact supplemental airbags for front- and rear-seat outboard occupant head protection. Yet in addition to this web of protection, the Versa Note also comes with a bevy of devices to make sure that you have ample knowledge of your surroundings. 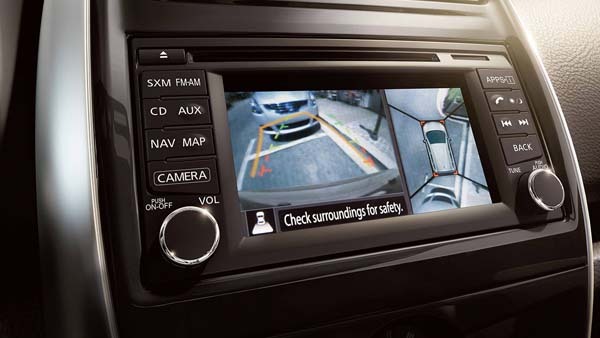 For example, you’ll get an Around View Monitor that allows you to gain a full picture of the surroundings on your Versa Note, enabling you to make intelligent choices when it comes to maneuvering on the highway and allowing you to parallel park with increased ease. Not only that, but the Versa Note offers up a Vehicle Dynamic Control with Traction Control System which makes it possible for you to optimize your traction during treacherous conditions in the winter and to ensure the vehicle’s stability when you’re barreling down the highway at breakneck speeds. 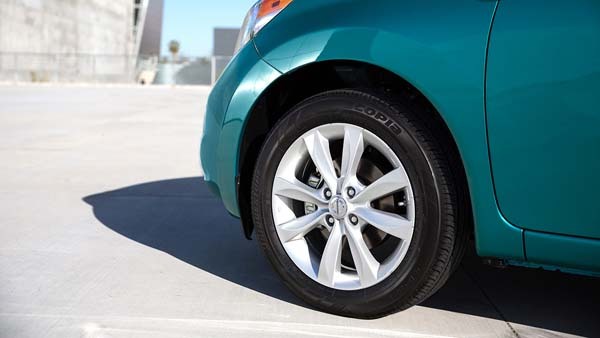 With its Tire Pressure Monitor System, the Versa Note allows you to check up on the air pressure in your tires, allowing you to determine whether you need to stop for a refill without requiring you to even get out of the cabin. Just trust in a built-in monitoring system to give you instant updates whenever necessary. But in addition to these smart systems and devices, the Versa Note also comes with some changes to its exterior design. 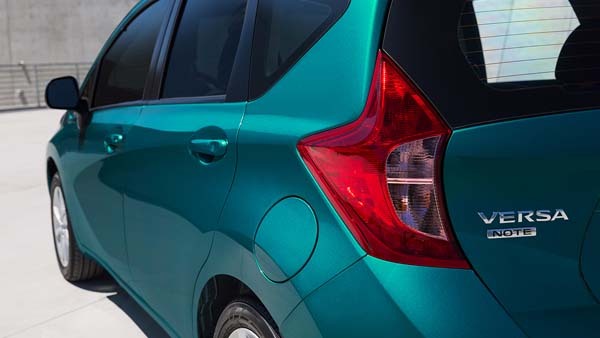 For example, the Versa Note features Zone Body Construction with Rear Crumple Zones that allow the Versa Note to respond especially safely in cases of collision, by channeling the force of impact away from you and the others on the cabin. Likewise, the Versa Note utilizes Hood Buckling Creases and Safety Stops which allow the car to respond to collisions by preventing the hood from intruding into the cabin the accident. By incorporating buckles at pre-determined points, the hood will crumple rather than break into your driving compartment, thereby helping to preclude serious injury during an accident.